It’s summer! The temperature, humidity, and dew point are rising. Some of us have already had some summer temps and probably turned the air conditioner on to keep cool. The summer can get hot – really hot. As you sit there, sweating and wishing you could get cool – or maybe you’re out and about for the day with no time to relax in your temperature controlled home – it can feel like there’s no relief to be found. There’s no way of hiding from the extreme heat that promises to remain for another few months. But with the right essential oils, you can fight the hot and humid temperatures and keep cool all summer. Essential oils belonging to the mint family, especially those with higher percentages of menthol like Peppermint oil will help make the body feel cooler. Spearmint is another oil to keep you cool. Eucalyptus oil works well, too. I’ll spare the chemistry lesson, but menthol apparently has the ability to trick receptors in the brain into thinking that the body is cooler than it really is, most particularly the part of the body that is in contact with the menthol. The Eucalyptol in Eucalyptus oil acts similarly. Peppermint essential oil contains a significant amount of menthol. Besides its cooling sensation, menthol is known to help relax and ease tension headaches and muscular aches and pains. Peppermint oil is quite stimulating and may interfere with sleeping. Although Peppermint oil contains significantly more menthol, I personally prefer the aroma of Spearmint essential oil. I can substitute Spearmint essential oil for some or all Peppermint essential oil in a blend for a more gentle and fruity aroma. Eucalyptus essential oil acts as a nice alternative or complement to Peppermint and Spearmint oils in cooling blends. In addition to its ability to provide a cooling sensation, Eucalyptus radiata essential oil contains a significant quantity of the oxide 1, 8-Cineole. 1, 8-Cineole is said to act as both an anti-inflammatory as well as an expectorant. People with respiratory disease should be cautious in using Eucalyptus and children under the age of 10 should not use it at all. A hydrosol is the aromatic water that remains after producing an essential oil by steam distillation. It contains about 3-15% of the essential oil. Some plants can also be distilled for the resulting hydrosol instead of the hydrosol being simply a byproduct of the distillation. Hydrosols are gently aromatic and soothing. They are a wonderful addition to room mists and body sprays intended to help keep you cool and refreshed. 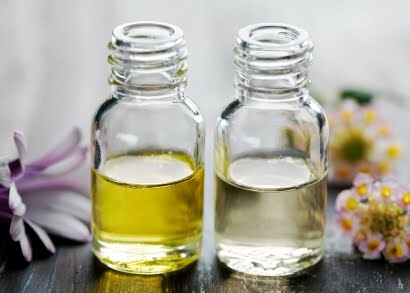 Unlike essential oils that should be diluted prior to application to the skin, hydrosols are water soluble, are much gentler than their essential oil counterparts, and can be used directly on the skin without further dilution. Some of my personal hydrosol favorites for use in cooling and summertime products are Lavender Hydrosol and Peppermint Hydrosol. Keeping them in the refrigerator adds to the coolness of the hydrosol. You can also take these in a cooler if you are doing an outside event. Speaking of Peppermint Hydrosol, ladies, it can stop a hot flash immediately! The Nature Cottage carries all of these essential oils and hydrosols to keep you cool. Come by and talk with Susan Hilton, an RN and Certified Aromatherapist about how to keep cool and refreshed this summer. The Nature Cottage is located at 208 E. Center St in Lexington. You can also call us at 336-843-4297.